feathers fell around us. This is how you leave your country. On the back of an ocean. Choked with feathers. After this introductory poem, Set to Music a Wildfire is divided into three sections: “I. Born into War,” “II. House Made of Breath,” and “III. What the Living Know,” and explores the consequences of being forced from a homeland, the struggle to settle in a new country, and the unrelenting ripple effect of family history on three daughters. Any child or grandchild of refugees who survived bloodshed, and left family behind, understands these swells do not subside easily. It is not surprising that the sea is often invoked in Awad’s poems—the angel’s oceanic wings, the sea the father had to cross, and in the “Battle of the Hotels,” the metaphoric sea, its “slow chew” of everything lost and missing. Even during a bucolic family jaunt to the beach, in “My Father in Virginia, Surrounded by Water,” the sea’s waves become salt rubbed into guilt’s wounds as they also phantasmagorically make their way back to Lebanon. In “My Father Is the Sea, the Field, the Stone,” the speaker tells us, “I don’t know what makes a country a country. / If the sea is softening an edge of land is enough / to say, This is mine and that is yours.” This poem, like many in the book, is written in the voice of the poet’s father. 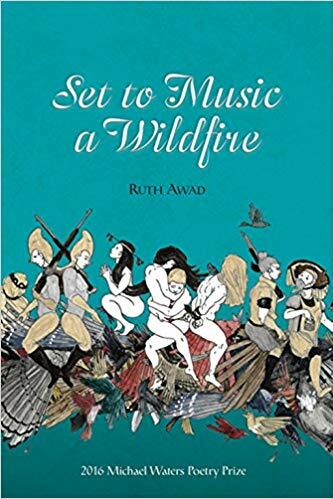 There is always a risk of arrogant presumption when a poet writes from another’s worldview, but Awad realizes her own version of the Keatsian ideal of poet emptying self and filling another’s body, and convincingly inhabits her father’s voice, and later, her mother’s. Everything that belongs to father, mother or daughters—faces, eyes, mouths—become casualties of war and symbols of distance and separation. In “Interview with My Father: Names,” photos of the dead are “hundreds of eyes glancing / all around, as though we could lift them from the pages,” and in “Homegrown,” “faces like houses with the lights shut off.” These metaphors of lost hope course through the book, though in “Hunt,” the narrator becomes “a mouth of light / pointing like a compass needle,” offering a brief flicker of hope. Misery quickly returns, however, in “The Green Line,” when the narrator reminds us, and himself, that he was “born from the mouth of a bullet hole.” Awad simply does not stray far from the fatal sting of bullets. next to their pictures and post them where others can see. won’t tack us among them—the razed, their names, white light. in mismatched clothes, shaved wisps of sideburns, that Arab last name. My father got letters. Please don’t drop the girls off early. Kids asked, What do you mean, your mom’s not here? to hand it to the cafeteria cashier. The lost mother, the father’s dead, none of them are ever really gone, as emphasized by Awad’s brilliantly ambiguous line-break after “living” that suggests both the “mercy” of being alive and the sting of memories like days that “never stop coming.” This is how life leaves and fills us; it fills us with dirt and with water. In the end, we are left with the mercy of living and learning to live with grief. Set to Music a Wild Fire is a story that needs to be told, especially today, now, reminding us of those lines from “Asphodel” by William Carlos Williams: “it is difficult to get the news from poems / yet men die miserably every day / for lack / of what is found there.” Awad’s poems give us real news of human beings behind the current wall of political wrangling, and behind the question of who belongs and who doesn’t. Amy Small-McKinney won The Kithara Book Prize 2016 (Glass Lyre Press) for her second full-length collection of poems, Walking Toward Cranes. 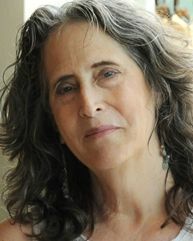 Her poems have appeared in American Poetry Review, The Cortland Review, Construction, LIPS, Tiferet Journal, and elsewhere. Small-McKinney’s poems also appear in Veils, Halos, and Shackles: International Poetry on the Abuse and Oppression of Women (eds. Charles Fishman & Smita Sahay), and BARED: Contemporary Poetry and Art on Bras and Breasts (ed. Laura Madeline Wiseman). Recently, her work was translated into Korean in Bridging The Waters II (Cross-Cultural Communications). January 2018, she traveled to Ireland with the Drew University MFA in Poetry program where she participated on the panel, Kindred Spirits, at the Transatlantic Connections Conference.